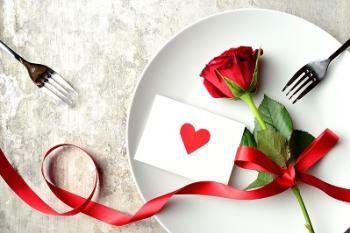 Times: TWO Seatings / 5:30 p.m. & 7:30 p.m.
What: Get your Valentine&apos;s Day Buffet on and enjoy a meal at the Club! Enjoy a delicious meal that includes bruschetta, Classic Caesar, beef tenderloin and more! If you&apos;re not full yet then finish your belly off with a slice of white chocolate, raspberry cheesecake. Yum! 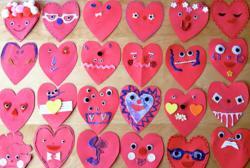 What: Looking for something fun to do with your little one this Valentine&apos;s Day? Celebrate the special day with your little Love Bug at the TOQC&apos;s Valentine&apos;s Day Love Bug Dance! There will be music, crafts, a light dinner, & dancing! What: Four delicious courses to kick off the perfect Valentine&apos;s Day date? How about yes! Fall head-over-heels in love with the dinner picked out for you and your date, which includes a flourless chocolate cake with whipped creme fraiche as the finale! Time: 6 p.m – 10 p.m.
What: Looking for a unique experience this Valentine’s Day? 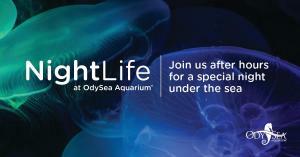 Make some memories with your date under the sea at the Odysea Aquarium! The nighttime activities (Adults 21+) include live music by Ri and Ry, fun talks with the Animal Care team, Flash Light tours, and much more! Don&apos;t forget about dinner either because guests will fill up on a delicious 5 Course Strolling Dinner! What: Reservations are recommended for this lovely dinner with a mouth-watering menu. Includes an open bar, appetizers, dinner buffet, DJ, Dancing and much more for your special night. Call (480) 629-4555 to RSVP. 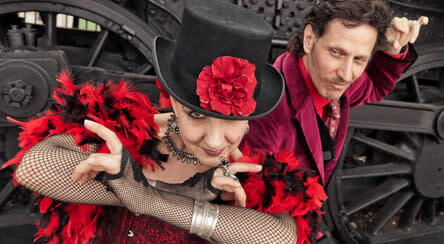 Carnival of Illusion: Magic, Mystery, and OOOH LA LA! What: The Mesa Arts Center presents a magical night out for you and your date! Be prepared to laugh, have fun and enjoy a night of illusions and mystery – perfect for date night! Hurry and get your tickets fast before the shows sell out! What: Calling all Rocky Mountain High fans: Enjoy a concert for your Valentine&apos;s Day experience! 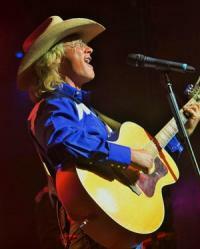 Music from Brad Fitch as John Denver will surely put you in the dancing mood! What: Start your evening off with a delicious 4-course Prix fix dinner, live entertainment, and a romantic atmosphere at The Patio at Las Sendas. Beautiful and exceptional views from your table are included in this dining experience. 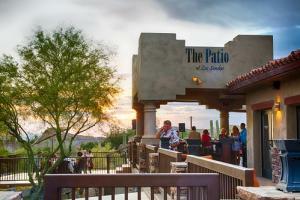 Advance reservations are required so book your table now at (602) 734-5524! Time: Afternoon Show: 11:30 a.m., Evening Show 5:30 p.m.
What: Ready to go big and bold? then stop by The Silver Star Theater for a special Valentine&apos;s Day show! A Grand Buffet that features mouth-watering prime rib will be the star of the menu for the night for the evening show. Perfect for you and your special someone! Reserve a table now for this extraordinary experience! What: Bring your crafty kiddos to our Food Court in the Middle of the second row, Row B. We will be ready with construction paper, glue, markers, and all the findings your little one needs to make a beautiful Valentine’s Day card. Time: 7 p.m. -9 p.m.
What: In honor of Valentine’s Day, Jake’s Unlimited is putting a festive twist on its increasingly popular monthly glow-in-the-dark yoga event. Singles and couples alike are invited to join hundreds of yogis for a freeGlow Yoga Valentine’s Day LOVE SESH featuring a 60-minute flow class, cocktail specials and black-light paint for an electric night out. What: You won’t find a Valentine’s date night more interesting than this one! Join us for a fun, educational, and romantic date night evening that offers insights into the world of bugs and their amazing journeys of “love”. Meet these bugs up close, and even enjoy a sampling of edible insect treats. Light refreshments. Cost: $25 per couple. Call (480) 800-3000, ext. 210 for reservations. What: Treat your special someone to a relaxing float at True REST Float Spa! Schedule an appointment between Feb 12-17 to receive one regularly priced float and one free guest float! Book this two-for-one special now! Book online or call (480) 219-7990. 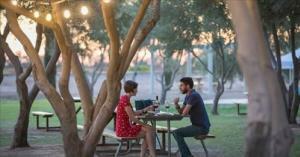 What: Book a romantic stay at the Saguaro Lake Guest Ranch for a deal of $200 (plus tax)! Enjoy a delicious dinner featuring a Duet Entree followed by a relaxing evening in one of the cabins. Breakfast is also included! Make sure to call early to check availability and make reservations! What: Explore the festival with your Valentine&apos;s this year and use code CHIVALRY to save $3 off box office prices! Buy your tickets today to scout the village! What: Calling all sweethearts! Two people eat for only $22 at What&apos;s Crackin Cafe! 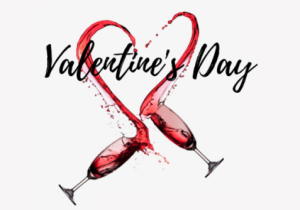 Your special Valentine&apos;s Day breakfast will include four strawberry white chocolate glaze pancakes, four eggs, four strips of bacon and two French Kiss mimosas (or two non-alcoholic beverages of your choice). Reservations are not required. What: Stop in and check out our diamond heart pendant collection. FREE box of chocolates with purchase of $100 or more. What: Love is in the air this Valentine&apos;s Day. Take a break from Netflix and switch up your routine with our signature Sonoran Sweetheart Flight. Leave the ordinary below and show your loved one what they mean to you with a one-hour private balloon flight over the Sonoran Desert. Upon landing, toast to your love with specially prepared Moet and Chandon champagne with flowers in hand. 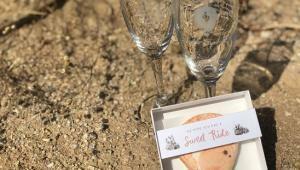 You&apos;ll complete this once in a lifetime adventure with a unique souvenir gift package including a limited edition Rainbow Ryders&apos; pin set and hot air balloon engraved champagne flutes - all packed with love of course. What: Valentines Special from EVIT&apos;s Cosmetology Program - Manicure, Pedicure, and Shampoo, Blow-dry, Style for only $25! What: Save big when you bring your sweetheart for some fun at Golfland. Get two games of mini golf for only $9.99 (a 50% savings!). Add a small pizza and 2 medium drinks for only $12.99 more!